Spring is in the air, literally. It's in the mid 60's which is unheard of for early March in Minnesota. All this beautiful weather has inspired me to start my spring cleaning. Everyone knows that the Target Dollar Spot is the hottest place for cheap home decor and such. The last time I was in Target, I was inspired by all the spring cuteness. I had to purchase a few items and I knew just what to do with them. My dishwasher space is a mess. I have a portable dishwasher that serves as a counter because we have a small kitchen. It needs some help y'all! Though I try to keep it somewhat organized, this space still has quite a bit of clutter. 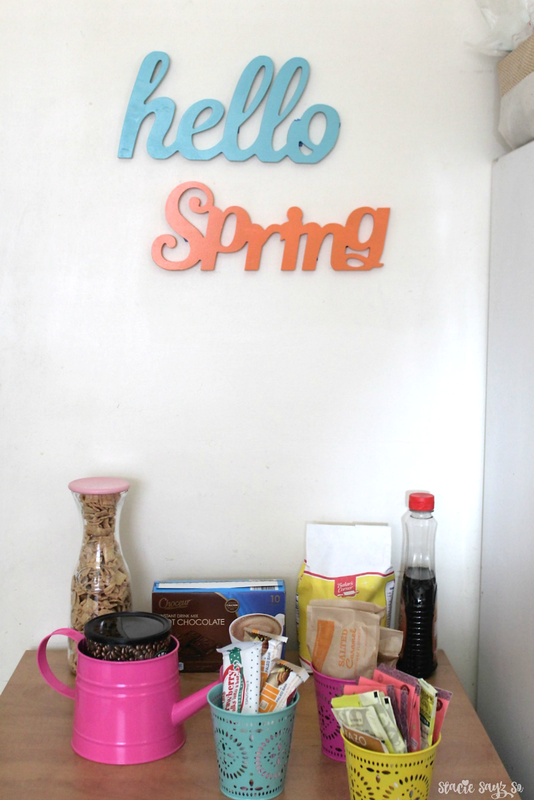 I decided to brighten up the area first with my Target spring wall decor. These were 3 bucks each. 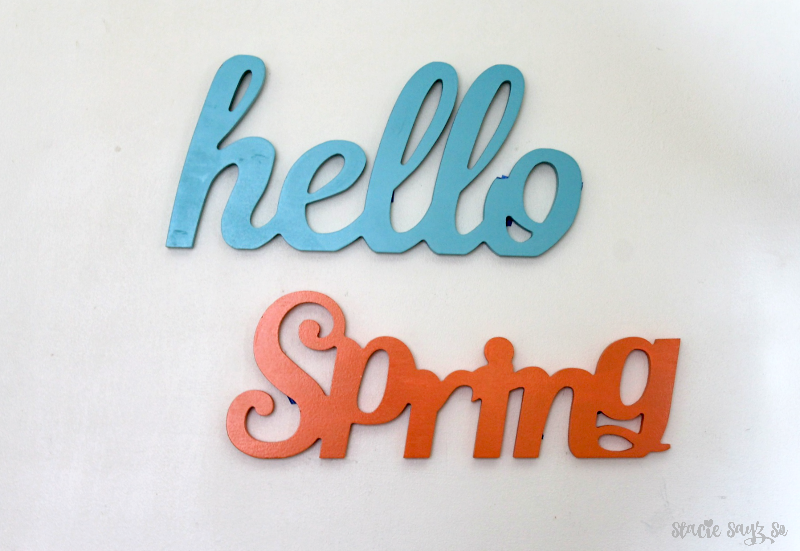 Yes Spring, you are welcome here! 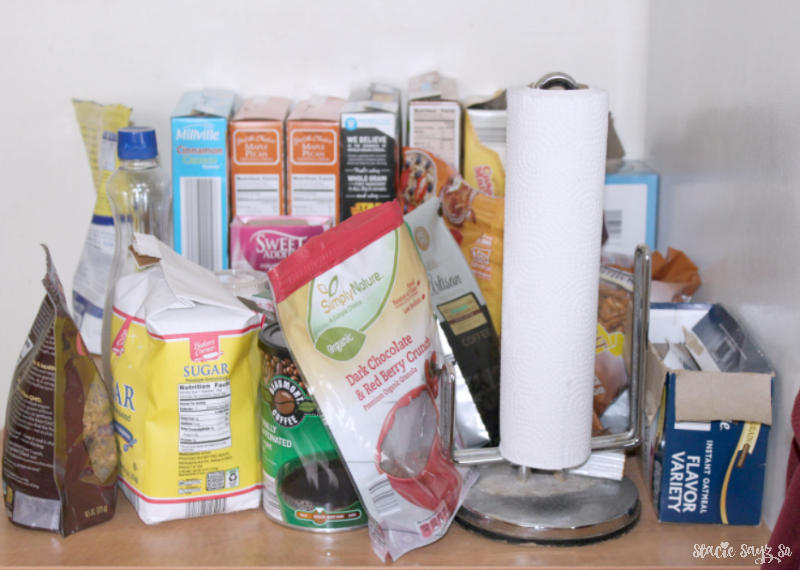 I started out by throwing away all the boxes for tea, cereal bars, and oatmeal and put them in separate containers which cost a dollar. I did that with my cereal as well. The pink watering can and carafe were both was 3 bucks each. Doesn't this look so much more neat and organized? 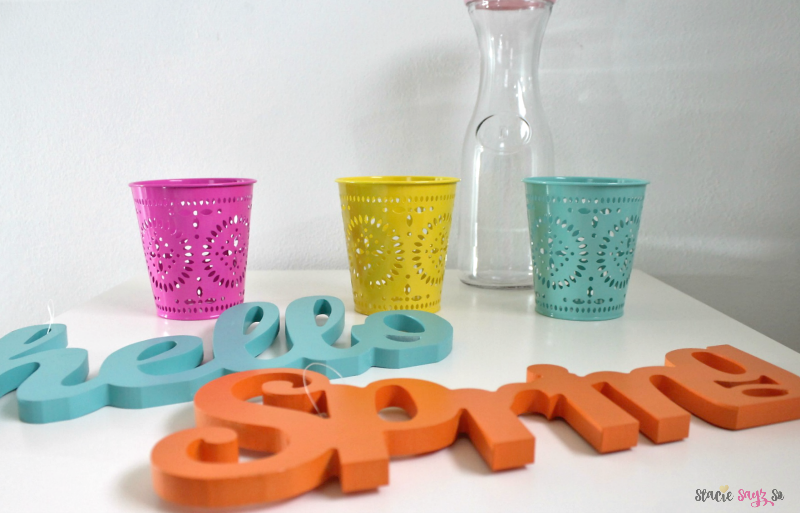 So the next time your headed to Tar-jay, stop by the Dollar Spot and check out what's new for Spring. Oh, and don't forget your Target coupons too! 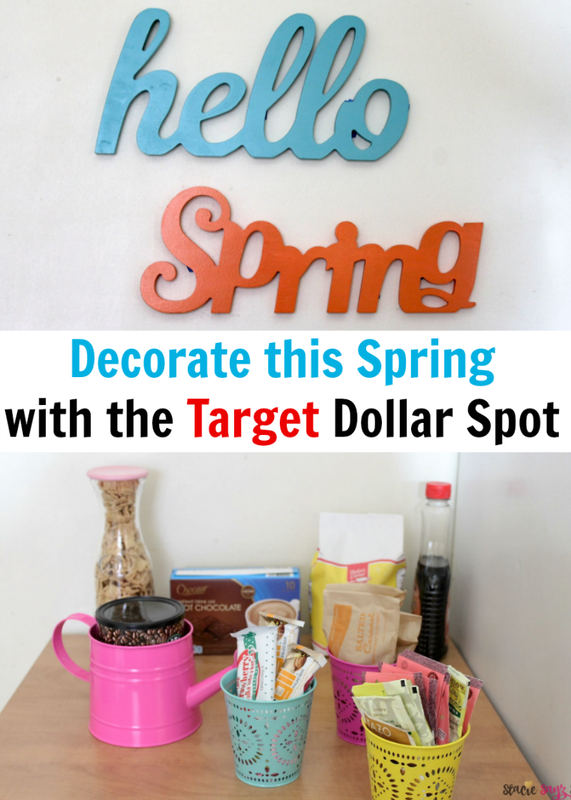 Do you love the Target Dollar Spot? How are you decorating and de-cluttering your home? *I did not get paid to write this post. I just thought it would be fun to share it. I got those same signs from my Target! Love the dollar spot! 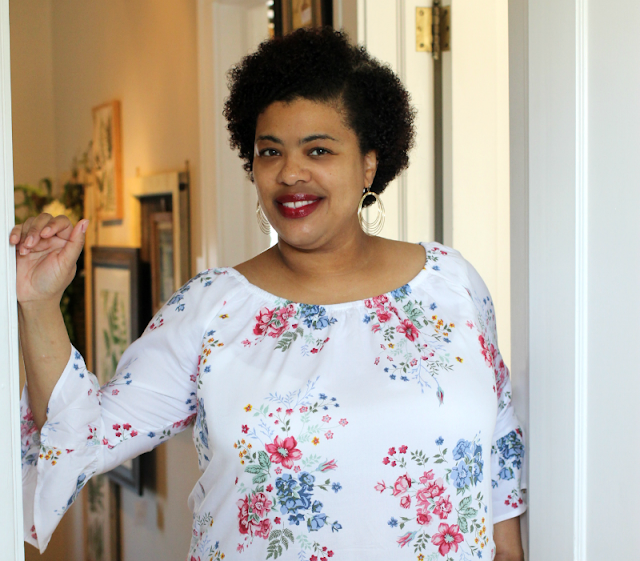 I am deep cleaning every room in my home now and it has been a task! Girl, I plan to get to that cleaning thing soon. 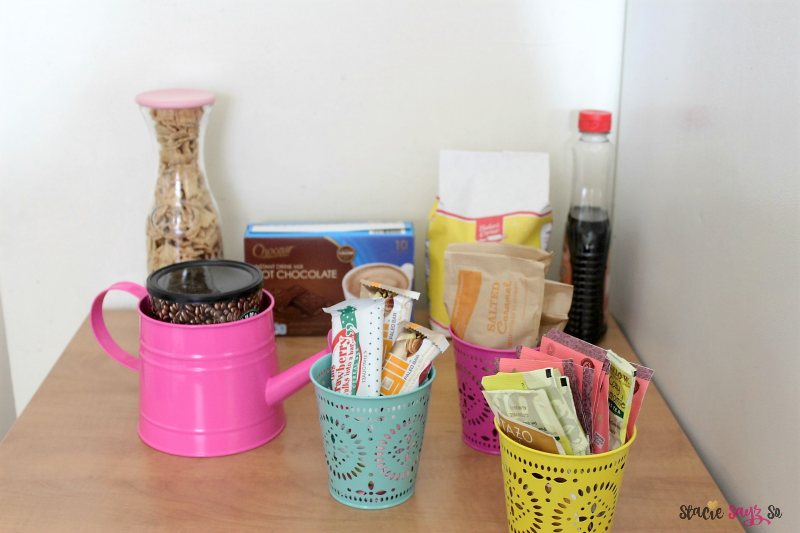 Keeping a clutter free space is such a challenge for me. I tend to allow the bills and receipts pill up and then it's just a mess. I love the Target Dollar section. There are tons of great finds there. I do the same thing too. Clutter is something that I have to always stay on top of. Oh I didn't see the words at Target, I need to make another trip. Cute post! Thanks Robin. Hope you find them! They always have the cutest items in the Dollar Spot at Target. Target is my love drug and I'm always there. That means I am always digging in the dollar section. They have such great things for every single holiday and fun. They are one of the best deals around. I'm really starting to love the Target Dollar spot more and more. I love the dollar spot at Target. They always have great deals. Looking to redecorate my apartment for spring if I don't move. You'll find some cute things there. HOLD UP! I was just at my target last night and didn't find any of this stuff. I will check a different one. Thanks for shopping and posting!!! I found that not every Target had this out yet so check around. What you created is so cute! I wish I had decorating skills like you. I think I'm going to have to check out the Target Dollar Spot. I like the tins. I can use those for candles. The dollar spot usually has good stuff, especially for parties. I'm on a mission to get organized. Toss what needs to go and organize all that stays behind. It's a must. Hair and beauty products and random junk is winning right now. The Dollar Spot is so addicting! Great mini makeover, I'm so ready for Spring. I love the Target Dollar Spot area!!! I love love love it they always jazz it up with the cutest cheapest things! Yes! Say no to the clutter! I'm going to get a few things from Target today. You have inspired me! I am decluttering from bottom to top so that we can put the house on the market this spring. I haven't been to Target in quite some time. I tend to spend too much money, but I'm going to have to check out the Dollar Spot. This should cure my Target fix. I love Target's Dollar Spot. I bought a pink one of those punched tins. I love the color and it is perfect to hold the pens on my desk!